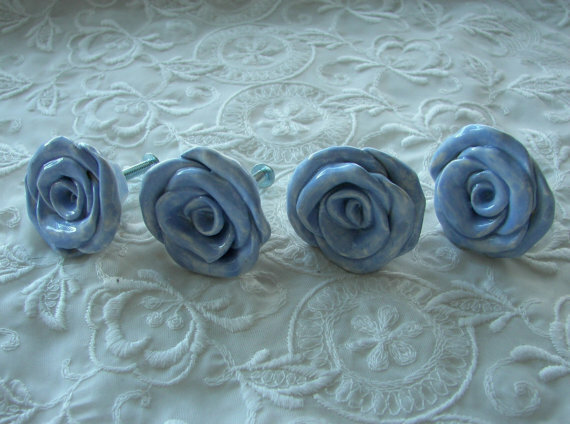 My original hand made Rose drawer pulls/knobs are so pretty on drawers or cabinets or in art~they are 1.5" to 1 3/4"~ I sell them IN SETS of 4 other quantities available discounts too. Please contact me. price for 1 rose is 7.00. ~Each one is handmade by me made in the USA and may vary slightly~ Also available without the hardware as a button or for jewelry add ons and can be made much smaller~price will change, please contact me~ shipping may vary to other countries.